I’m a monogamer. I usually play one game at a time, for as long as it holds my interest and then, eventually, I put it down forever. There are a few exceptions of course, but just a few. I’ve been playing DOTA2 for the last six years and don’t see that ending any time soon. The game is as fresh and competitive as ever. There is a new hero on the way, and the third season of ranked play is kicking off any day now. *** I’m not going to write about why I love DOTA2. The strategy, team work & competition… Why it’s better than LoL (it really is, on every level) or how it has the best tournament in all of eSports (the last 2 years of the International were phenomenal). As great as DOTA2 is, it’s still hard to beat hanging out and playing games together with friends in the same room. Since split screen gaming is a dying art form, the only logical thing to do is host a LAN party. Yes, we’re talking about LAN parties again. We briefly played Fortnite, which was fun for about six hours until we realized that we’re adults, and we have since moved on to other games. Much to the disappointment of my nephew. The current game on the LAN roster is Dead By Daylight. If you haven’t played yet here’s the Twitter summary; four people try to repair enough generators to power the exit gates so they can escape a killer hunting them down. You get no weapons as the survivor, so you want to skulk around in the shadows and be as quiet as you can. Repairing generators requires a series of skill checks and failing them makes a loud noise that gives away your location. When the killer finds you, and they will, you run and try to hide by vaulting through windows, zig zagging around corners, and dropping debris in the killers path. It sounds simple, but this game is really fun, and does a great job bringing the tension and anxiety felt in horror films into the game. The killer only has one objective, kill you and everyone else. I was really bad at surviving when I first started playing, and to be fair I am still bad, since I wasn’t used to sneaking and didn’t know what to do once the killer found me. I’ve since remapped my controls and seem to be doing better in succeeding the skill checks, and I’ve learned how to sneak and understand what the killer can and can’t see. I think I escape the arena maybe 20% of the time. One of the other things that I think helps is that I’m playing this game with friends, and we can talk to each other. The game has no voice chat built in, and it makes a huge difference when you can tell your teammates if the killer is near you or not. Interestingly enough, I played this game at PAX East and interviewed the developer with Antilles, and then promptly forgot all about it (that’s me behind the camera). 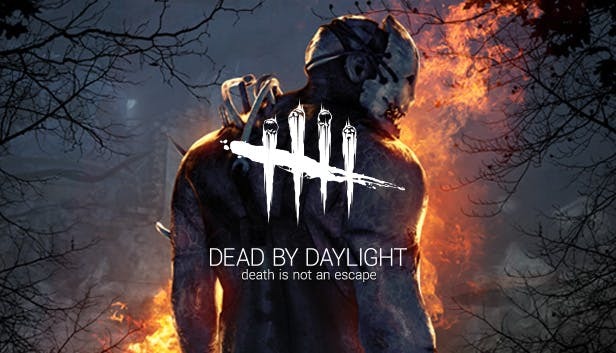 They do describe Dead by Daylight as having Anti-Social matchmaking, which I would say accurately sums up the experience, you are playing with and against people, but are, at the same time all alone. I’d like to see Behaviour Games make some improvements to the matchmaking. Specifically, making it easier to keep a party together after games. Right now, you have to back all the way out to the main menu, select play with friends, and then reinvite everyone after each round. It’s something that should have been thought out better and hopefully is improved soon. I’m sure that I’ll put Dead by Daylight down and move on to something else, but for now, this is the perfect game for a few people to play together in a dark room. Preferably with some pizza and beer. Haunted house not required. Post by Termeric, our resident DOTA2 expert.